At school, I was your typical quiet girl with low self-esteem and zero confidence. Combine this with a smattering of bullying and rejection from ‘boys’ and it’s almost inevitable that my mental health began to suffer. 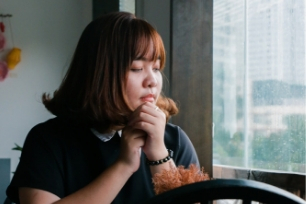 For me, it was a particular moment when yet another boy I liked told me he liked me, but “not like that” that was the tipping point and I started to question what was wrong with me. The conclusion I came to was my weight. Although I was slim, I was developing curves and rationalised that this must be why I wasn’t liked by boys or by many of my peers. I could go on to talk about society’s unrealistic beauty expectations and how this likely influenced me too, but I would be here all day… suffice to say in my head - my weight was the problem. To fix this I immediately embarked on a ‘healthy eating’ plan. This plan quickly developed into restriction. I started weighing myself often and pinned my happiness on the numbers reflected back at me. If I could reach my dream weight - I would be happy. All my problems would disappear. Of course, this is completely untrue, but these are the things an eating disorder leads you to believe. I became very good at lying to friends and family. I had strategies and techniques to avoid eating and would feel so proud of myself when I didn’t “surrender” to my hunger. The times when I did “surrender”, I would binge, feel guilty and full of self-hate. The self-hate grew as my weight loss plateaued. I began self-harming and had thoughts about ending my life. It was here, at my lowest point that my parents took me to the doctor. I was referred for counselling and remember feeling overwhelmed and out of control, like everything was happening too fast. I felt unworthy of support and that I wasn’t ‘ill enough’. As it turns out, my BMI meant I was formally diagnosed with an ‘eating disorder not otherwise specified’, which to me meant ‘failed anorexic’. I’m so pleased to hear this term is no longer used within eating disorder treatment. Eating disorders are not visible - you can’t tell how much someone is suffering by how they look or how much they weigh. It is a mental illness and this is often invisible. Thankfully, despite my initial wobble when I started counselling, things improved. 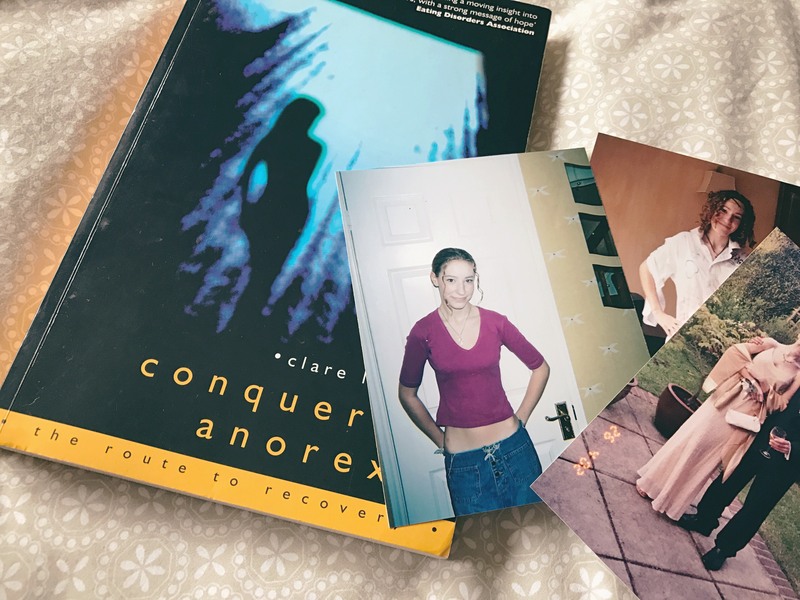 A few factors contributed to my recovery: counselling sessions with an eating disorder specialist, leaving school and making a fresh start at college and learning self-management techniques (like arguing with the eating disorder voice). My self-esteem and confidence slowly grew and I felt more like myself again. I had one relapse at university of both my eating disorder and self-harming, but thankfully I managed to use self-management techniques to get through it. 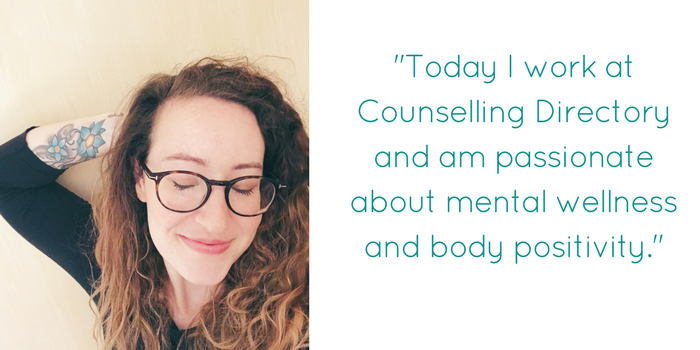 Today I work as the Marketing Communications Team Leader at Counselling Directory and am passionate about mental wellness, body positivity and self-care. I still struggle from time to time with bouts of anxiety, but through talk therapy (I’m currently having cognitive behavioural therapy) and looking after myself, I am managing this too - confident that I now have the tools to manage my mental wellness. I’m proud to be part of the Counselling Directory family and encourage anyone struggling with similar issues to reach out to someone because you don’t have to suffer alone. 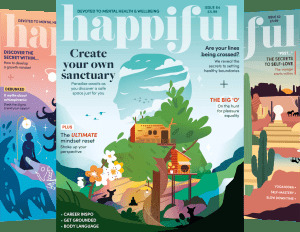 There are so many resources to help, many of which you can access here. Watch Kat talk through her diary entries from when she was struggling with her eating disorder, and how she pulled through to recover here.